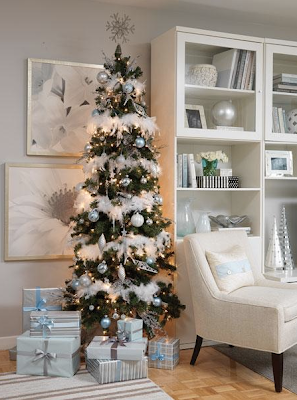 I love blue and white rooms like this whimsical teen bedroom from Traditional Home, so it's no surprise I can't resist making blue and white Christmas the next in my colorful Christmas series. There are so many colors to explore, so stay tuned! 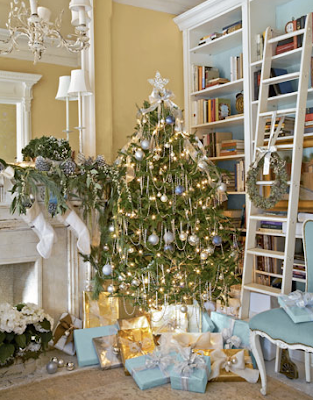 I hope these various collections inspire you in your own decor and prove that any style of home can have a unique Christmas spirit. 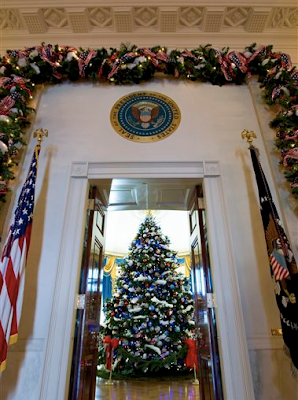 Image links: WH Tree. 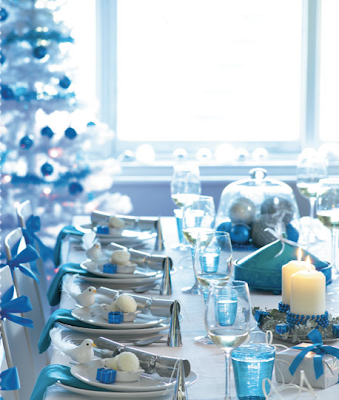 Ice blue and white dinner table. 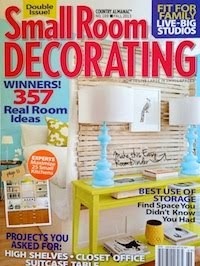 Blog Color Sizzle, Miles Redd decorations. Images 9 - 10, blue and white rooms. 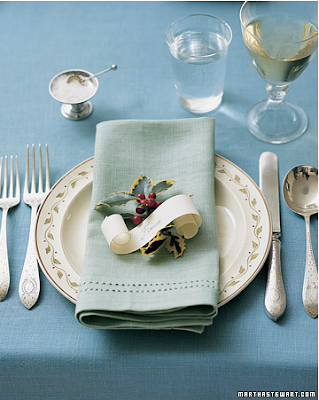 Victorian table setting. 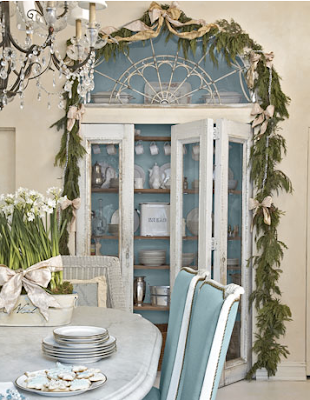 Blue and white Traditional Home room. Rooms 2 - 5 by Canadian House and Home. 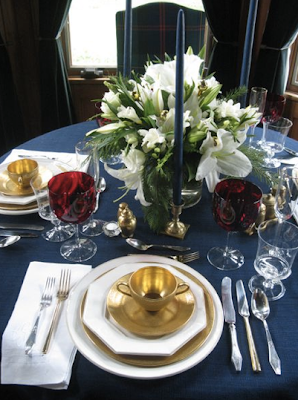 Bold blue and gold table, Eddie Ross. Blue is so elegant and calm. Love your choices of decor. I LOVE these selections! they are so elegant and serene somehow. I've gone through phases of blue and white- love it hate love it but I really like these! 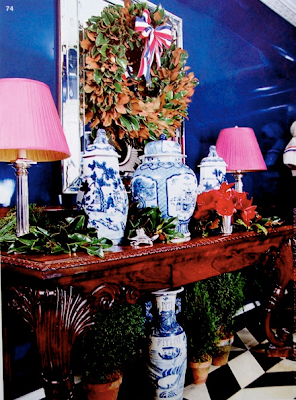 We are totally on the same page this week with pink and blue Christmases! 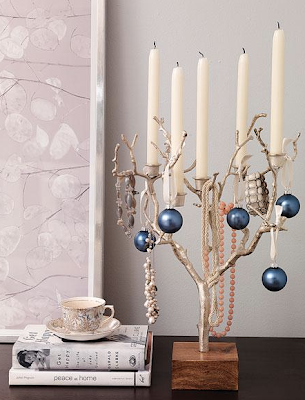 this is my favorite color combo for this season's festivities. so pretty. I'm not typically a blue person, but I admit, I am turning into a fan -- so pretty against fresh whites and snow. Beautiful! Now I must move down and read your pink story! 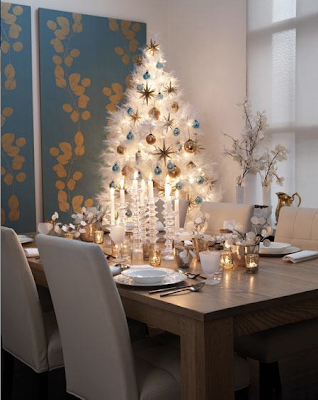 I love blue and white all year long but it's particularly lovely (and wintry) at Christmas! It's also a nice break from ALL that red & green.